Majority buyout and subsidiaries have been added to Beta 7. 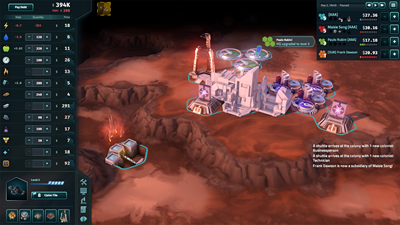 The brand new UI is also live in this update. 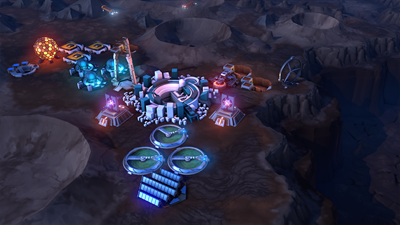 The team continues to work on performance and bug fixes while continuing to add new game play content. We appreciate the continued support from our great community! Every Thursday at 10am ET you can watch our developer livestream on the Mohawk Games Twitch channel. 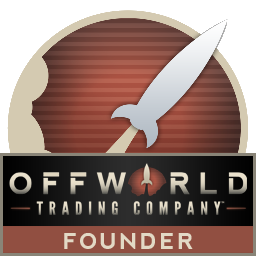 To stay updated with other news and happenings with Offworld Trading Company, be sure to follow us on Twitter and Facebook. Is being able to sell your own stock during the cool down period after you buy your opponent a feature or a bug? Very annoying to have the player list reversed in 1v1, i'm always buying my own stock. @kingmorgan what do you mean about the player list being reversed? In the player list my name is below the opponent, previously your name was always on top. Also, I am getting regular crashes, white screen of death, I am saving replay files. Beta 6 never crashed on me once. 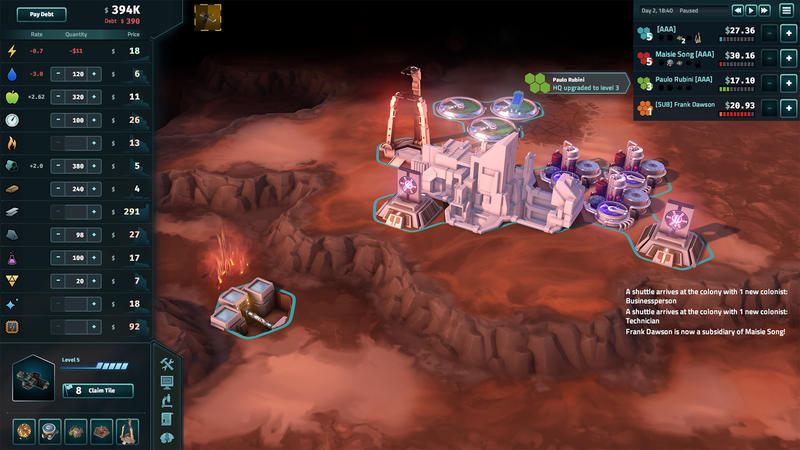 Does it crash when you replay the game? When is your name not on the top? In Quick Match?